Children are constantly learning and exploring new found abilities. One of my favorite ways for my children to explore their senses is with sensory boxes and bins! Through play, your child is discovering new sights, sounds, smells, and textures that are building a foundation for understanding the world around them. I made one with rice and shells and other objects years ago and my kids always love getting it out and playing with it! 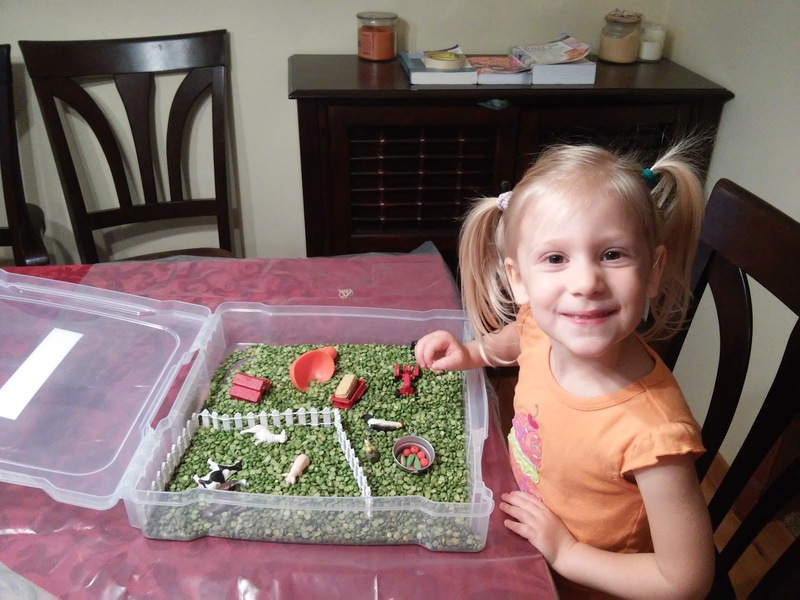 But with the school year starting again and my daughter needing a little more variety as we homeschool, I was absolutely EXCITED to explore a new sensory bin from Wunderbox with my daughter! These sensory bins from Wunderbox are the first all-in-one sensory bins out there and they have so many other great features as well! My favorite: that they are PORTABLE & CLOSEABLE. This allows us to take these portable bins and their fun and learning anywhere. They're stackable and easy to carry so storage is a snap. I also really love that EVERYTHING is INCLUDED! All-in-one curated bins themes include the medium (filler), toys, a tool, and a liner for mess-free fun. It then sets up in minutes and the fun is underway in no time! I am not the most creative mom so I love that someone else has been creative for me and designed a box that is fun, educational and has it all! We received the On The Farm sensory bin and it has already created hours and hours of fun and creativity in our house! You can feed the chickens and plow the fields. Your children can create their dream farm and perform all the farm chores! My children LOVE feeding the animals the corn and apples, plowing the fields with the tractor and setting up the farm in so many different ways. As a natural and eco-friendly mom, I LOVE that the filler is Green Split Peas so I don't have to worry about any unnatural or harmful ingredients that my children are digging around in for hours! 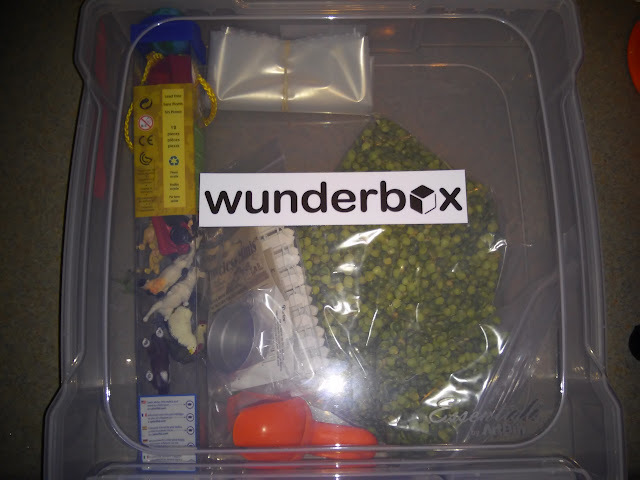 If you are looking to foster creativity in your child and want to take out all the work from making a sensory bin, then these boxes from Wunderbox are really great and have it all! You can purchase Wunderbox bins starting at $44.99 from the Wunderbox website. Make sure to use code "STEW15" to get 15% off on any Wunderbox bins purchased through the end of September.